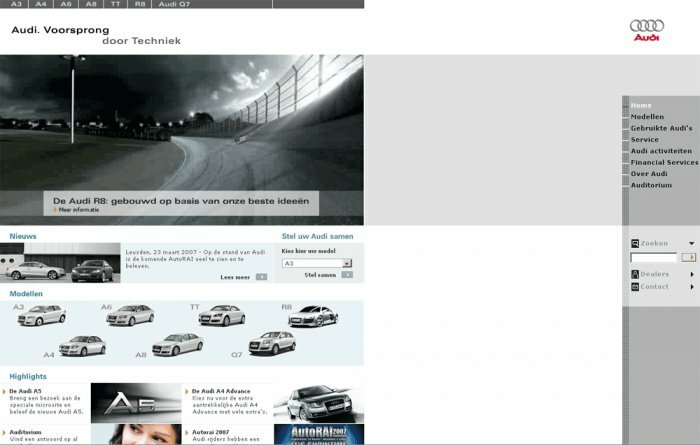 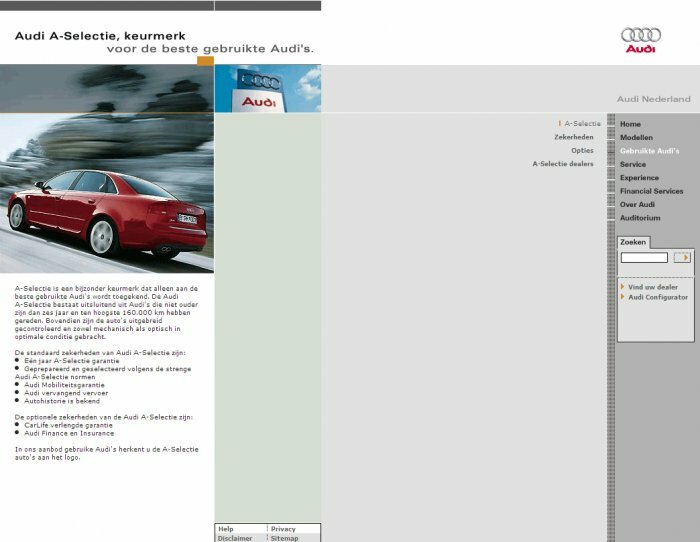 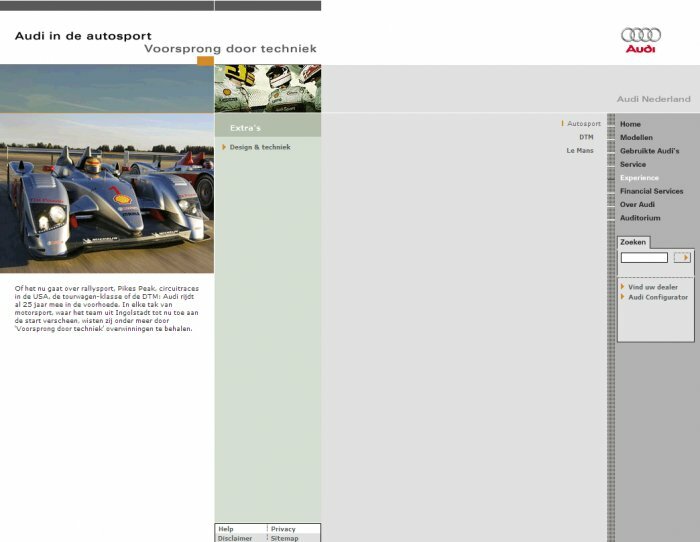 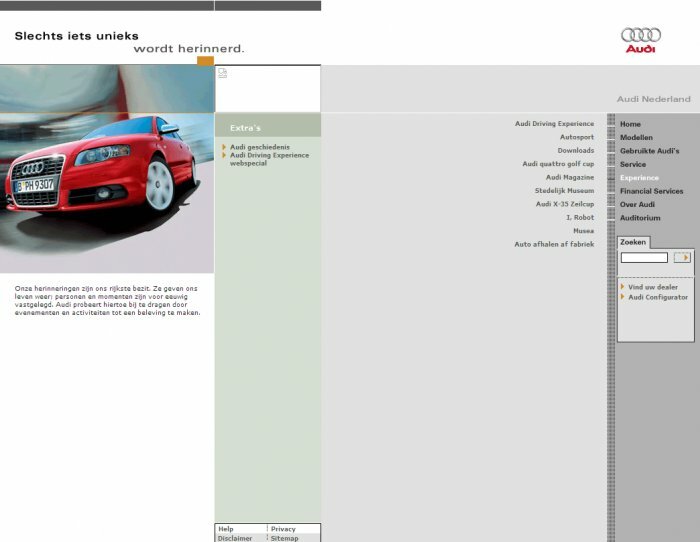 With this assignment the old Audi website was supposed be renewed and redesigned. 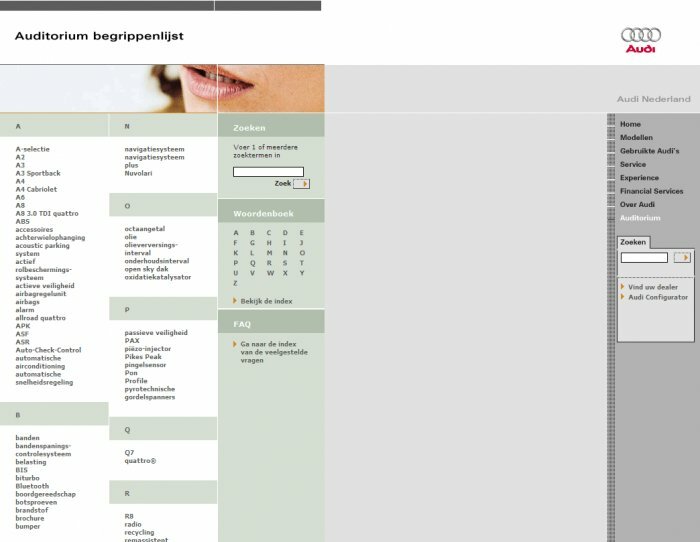 The ICT company Net Effect contracted AlexxDesign to accomplish the project. 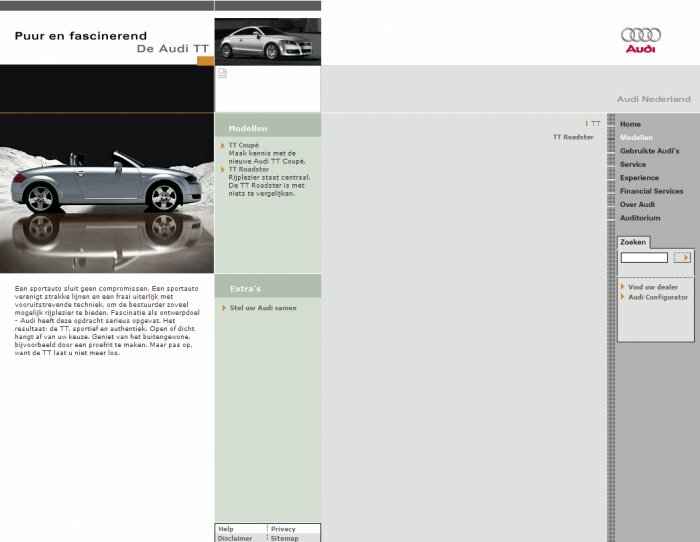 Audi have high standards, and so there was little room, or a time, for error. 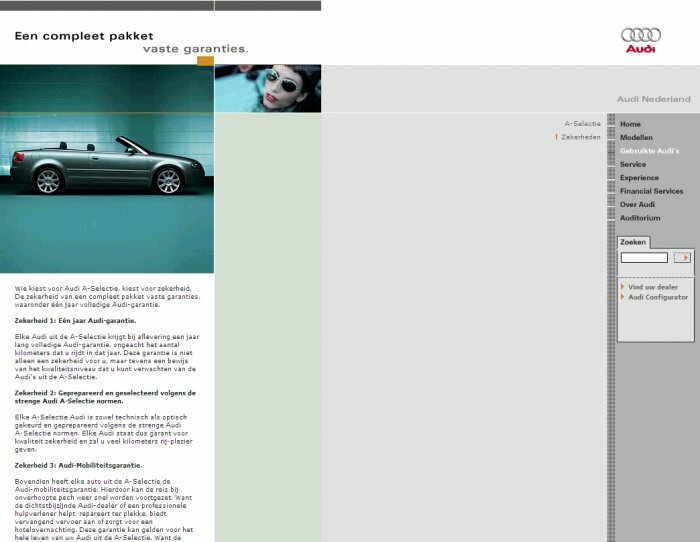 Alex re-designed the relevant pages with modular front-end coding techniques and integrated this within a Java driven Vignette Content management System.